With My Baggage, sending your excess baggage within the UK and overseas couldn’t be easier! My Baggage offers a quick, reliable and affordable service for anyone needing to send excess baggage to and from Northern Ireland. When sending your excess baggage to and from Northern Ireland, the biggest inconvenience is having to transport it by boat or plane – even if you are only heading to mainland UK! There’s the hassle of packing all of your belongings into your car and onto a ferry. And if you’re travelling by plane, well lets not even talk about how extortionate airline excess baggage fees can be. Travelling with more than 15kg can set you back considerably, never mind the hassle of travelling with a ton of heavy luggage. Thankfully, My Baggage offers a very welcome, low-cost solution. My Baggage is by far the most convenient way to send your excess baggage to and from Northern Ireland. We offer door-to-door collection and delivery to save you from any hassle. We’ll provide you with full online tracking as well as SMS and email notifications so that you are always kept up to date with the whereabouts of your shipment. And for that extra peace of mind, we have a dedicated customer service team ready to answer any questions you might have via phone, email and live chat. 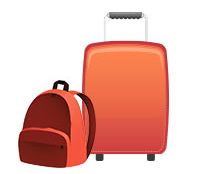 At My Baggage, we understand that saving money is a priority when it comes to transporting your excess baggage. Which is exactly why we offer fantastic low prices for shipping to and from Northern Ireland. We offer a generous weight allowance of 30kg (double that of an airline allowance) for as little as £16.99. Back in 2009, My Baggage was founded by a Northern Irish student – Paul Stewart. He needed a better and cheaper way to get his belongings between Northern Ireland and Edinburgh where he attended university. Since then, My Baggage has done nothing but grow and we transport thousands of items to and from Northern Ireland every year. So trust us – we’re the experts, and we’ll make sure to deliver your luggage quickly and safely to and from Northern Ireland. And what’s more; we’re actually based in Northern Ireland, in Belfast’s Titanic Quarter. 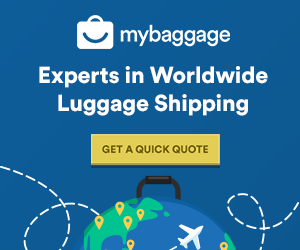 My Baggage sends excess baggage to over 200 countries worldwide, so even if you want to send your belongings overseas to or from Northern Ireland – My Baggage can help!